or snow board with cheese doodles. My mom is always yelling. She thinks I’m so pathetic. ©Doug Cushman. All rights reserved. 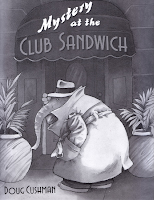 Doug Cushman writes books and poems, AND he illustrates, too... and that just makes me pause. I mean, is it really fair when people have that many different and disparate skills? Like both sides of their brain are wired for creative goodness or something? Ah well. We're all better off for these multi-talents, even if we (okay, fine... I) have been known to be a tad jealous. I'm a sucker, as many of you know, for food poetry and wordplay, so it was a happy day when Olympic Sprouts came over the email transom. And maybe it's because of Doug's illustration background, but I can just see what the voice of the poem sees, and I'm left wanting to toboggan down spaghetti, too. 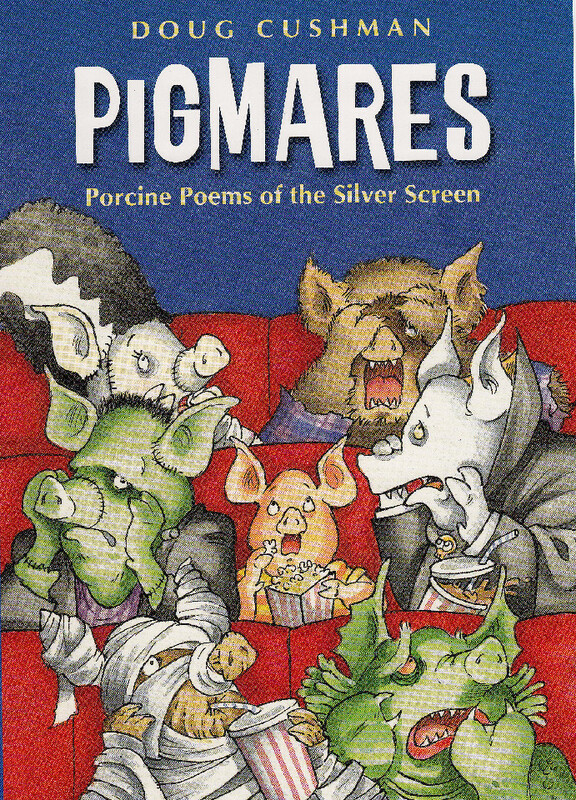 The same sense of fun can be found in Doug's book, Pigmares, by the way - his first book of poetry... after having written or illustrated over 125 books for kids! That's a happy thing, indeed, as is having Doug Cushman here today as part of 30 Poets/30 Days. Yesterday, Sonya Sones gave us Hayfever. Tomorrow... Tamera Will Wissinger with The Judge of Fudge! For more on 30 Poets/30 Days and ways to follow along, please click here. Sports and food put me in a good mood. Was having supper last night after my shift with while watching the Final Four. I felt bathed in manliness!